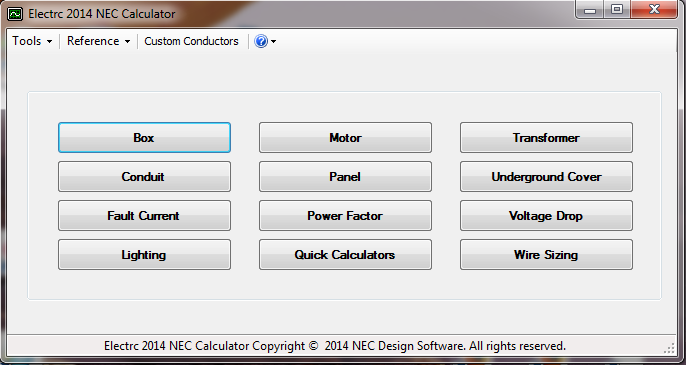 Electrc NEC Calculator is a suite of calculators that will perform all of your common electrical design tasks accurately, professionally, and consistently. Wire sizing, conduit fill, fault current, power factor, transformer, underground cover, lighting design, motors, voltage drop and more, all in compliance with the most current National Electrical code requirements. The reports are detailed, concise and professional. 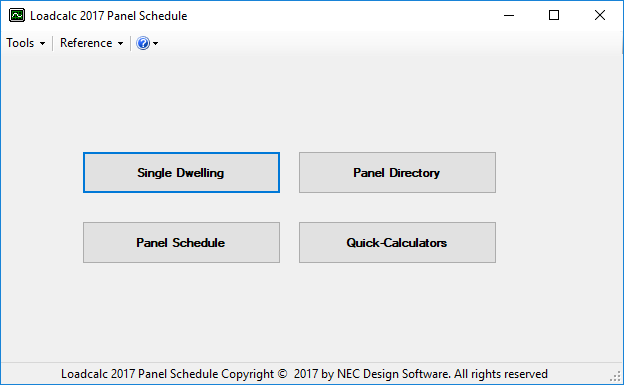 Loadcalc Panel Schedule performs load calculations for residential, commercial and industrial occupancies. Demand factoring, neutral loads, panel schedules, panel directory reports, and more, all in compliance with the most current National Electrical code requirements. The reports are detailed, concise and professional. 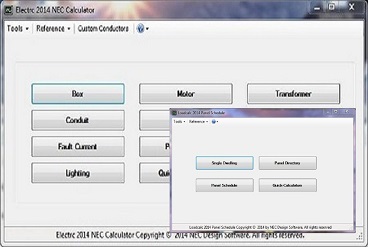 Our Electrc NEC Calculator and Loadcalc Panel Schedule bundle provides both applications at a reduced cost. Copyright © 2016 NEC Design Software. All rights reserved.